In this month’s Save Our Bones Bulletin we’ll look at a groundbreaking study from Stanford University that has linked sections of the human genome to an increased risk of osteoporosis. Next, you’ll learn about a brand new way to conduct studies on bone health. And last, we bring you a just-published study on the link between osteoporosis and dementia. So read on to get the latest osteoporosis news. Researchers have discovered that our genetic code may be a predictor of low bone mineral density, osteoporosis, and fracture risk, before any physical symptoms appear. Stuart Kim, Ph.D., an emeritus professor of developmental biology at Stanford University, conducted a study that found 899 regions in the human genome that are associated with low bone mineral density (BMD). Of those, 613 were previously unknown. This groundbreaking study, the largest of its kind, analyzed the genetic code of 400,000 participants who agreed to have their personal information included anonymously in a UK biobank. The study then compared each participant’s genetic code to their health information, including age, diet, gender, exercise habits, and BMD. Dr. Kim found significant relationships between particular genomes and osteoporosis. “People deemed to be at high risk — about 2 percent of those tested — were about 17 times more likely than others to develop osteoporosis and about twice as likely to experience a bone fracture in their lifetimes. In comparison, about 0.2 percent of women tested will have a cancer-associated mutation in the BRCA2 gene, which increases their risk of breast cancer to about six times that of a woman without a BRCA2 mutation. Early identification of people with an increased genetic risk for osteoporosis could be an important way to prevent or reduce the incidence of bone fracture, which according to the National Osteoporosis Foundation affects 2 million people each year and accounts for $19 billion in annual health care costs. While this test does not account for environmental and behavioral factors that can lead to bone loss, it would allow people with a genetic tendency toward low BMD to take action early. It’s heartening to hear Dr. Kim list supplementation and exercise as the best way to reduce the risk of fracture- methods that The Save Institute has championed from the get-go. New research has linked 899 regions of the human genome to low BMD, opening up the possibility of genetic testing as a way of assessing genetic risk of osteoporosis. For many years laboratory mice have been the primary study subjects to learn more about bone development. While mice are a good model for studying biological systems that humans also possess, they also pose several drawbacks. Now, the University of Ghent has identified a new and more efficient model for studying bone: zebrafish. “Zebrafish, which is a small tropical bony fish, is highly suitable for research into the skeleton and can help us better understand the biological processes in the human skeleton. This has for long been a very controversial topic in the scientific world as zebrafish as a disease model for bone disorders was questioned in part due to the large genetic distance (400 million years) between humans and zebrafish. However, about 70% of the genes in humans are also present in zebrafish, and many parts of the skeleton are very similar between both species, making zebrafish much more suitable for medical research than once thought, even to study our skeleton. The findings utilizing this new research model will hopefully expand our understanding of the bone remodeling process, leading to new tools for supporting that complex system. Conversely, new lines of research may get turned over to pharmaceutical companies for the development of new drugs. Scientists will use zebrafish for this first time as study subjects that aim to deepen our understanding of bone formation and osteoporosis. Dementia and osteoporosis may go hand in hand in some cases, according to a new study published by German researchers. The study is notable for its scale- examining the records and diagnoses of 60,000 patients at German general practices. While the study is far from perfect (more on that later), it does highlight the importance of applying a holistic approach to health. Many intricately connected systems make up our biology, and we’re discovering just how interdependent they are. “The study included patients diagnosed with osteoporosis between January 1993 and December 2012 (index date) and were followed for up to 20 years. After applying similar inclusion criteria, controls were matched (1:1) to osteoporosis patients using propensity scores based on age, gender, index year, several comorbidities, and co-therapies. The main outcome of the study was to determine the proportion of patients with all-cause-dementia diagnoses within 20 years of the index date. While the study shows an association between a dementia and an osteoporosis diagnosis, it doesn’t provide any information about why that association might exist. The researchers suggest that the conditions may share some risk factors, meaning that one isn’t causing the other, but rather both may share the same underlying causes. The study fails, however, to look at several important data points- including BMD and lifestyle-related risk factors (such as smoking or exercise habits). Perhaps these factors help to explain the association between the two conditions. Regardless, the relationship between osteoporosis and dementia- both associated with increasing age- make clear the importance of staying on top of your whole health. A German study found that people diagnosed with osteoporosis were more likely to be afflicted with dementia. 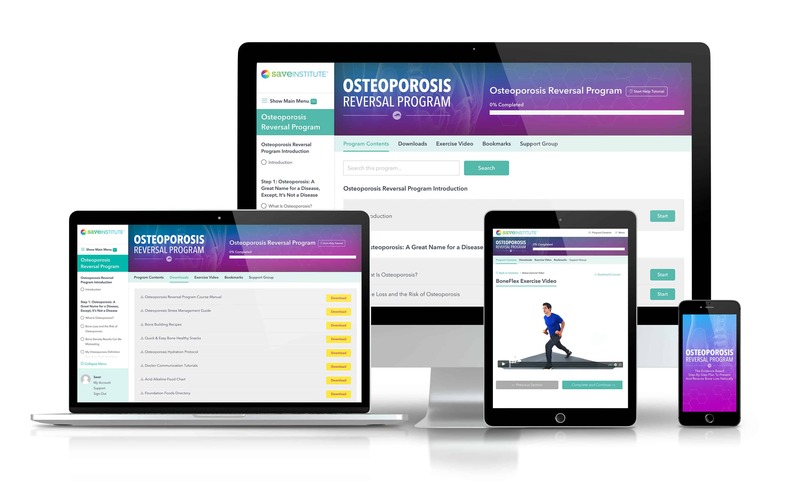 With science advancing by leaps and bounds, our commitment to keep you abreast of the latest osteoporosis news continues. I have purchased the whole Save our bones package so I thought I was getting the most up to date information on alkaline lifestyle. However reading more online I have found many websites that do not list fruits as alkaline but mostly acid due to sugar content. Is that true for others of you? 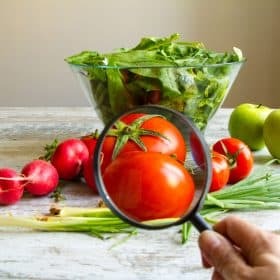 Diet and Vitamin D3 are important, but also consider Vitamin K, necessary to make the correct form of Calcium, not Calcium Carbonate ( chalk ), Without Vitamin K, the Calcium could go to the wrong place such as arteries. The study on Strontium was a study on a synthetic compound, Strontium Renolate, and of course it was negative. Strontium Citrate is safe and works. Also, consider the diet. Coffee is very acidic, not good. Stay away from junk foods. We can influence our genetic expression. Exercise is very important. Keep building those muscles and strength. Never feel out of control. Keep active in addition to exercise. Forgot, no soda. Re article associating osteoporosis with dementia. is not surprising. Since I have not enjoyed a single pain-free day for a long time because of the results of osteoporosis, I have experienced how this can affect mental health and mental ability. I have tried to avoid painkilling drugs, but constant pain has definitely affected my ability to concentrate on anything else. My heart goes out to you, Joan. It can be so difficult to cope with pain, but I am proud of you for sticking with your beliefs about taking drugs. And you are right about how distracting pain can be; there’s no doubt it affects your brain and mind. I find the medical profession negligent In doing adequate work ups. It should not be have dxa scan slap a drug on it. A mistake and reported my Distal forearm increased by 3% not true. The doc used.the wrong info.my distal. Forearm remained the same. This is for Irene. I’ve suffered with high PTH low levels vit D occasionally high calcium, osteopenia over 8yrs. I haven’t taken any medication as suggested. All natural. I’ve healed my hyperparathyroidism without meds. But my PTH still high. After a lot of persuasion to be tested by my consultant for hyperparathyroidism I am now waiting parathyroid surgery. I do believe if diagnosed earlyier I could have avoided bone pain memory osteopenia etc. Please Irene ask for bloods checked PTH /VitD/Calcium good chance your 100% hyperparathyroidism. Only way forward is the operation. I’ve told you my story because I was concerned by your high PTH. I Continue to follow the bone program with Vivian. You have truly inspired me over recent years to heal my self naturally. Thank you. Sometimes you really do have to stand up for yourself when it comes to medical care! Good for you for doing so, and not being afraid to go with a protocol you’re comfortable with. I was put on Fosamax years ago for 8-10 Yrs. I ended up having 2 parathyroids removed. I now have osteoporosis. They say the Fosamax had nothing to do with the 2 parathyroids but I cant help thinking the Fosamax had something to do with it. I am not fighting Drs cause of my osteoporosis they want to put me on other drugs. You know your body best, Bobbie, and I want to encourage you to stick with your beliefs about osteoporosis drugs. I’ve recently been diagnosed with cancer metástasis to the bones: the sacrum and lumbar spine. Limphoma is suspected and I’m having a biopsy today to determine the cancer source. I’ve followed you for years Vivian, and been well impressed with your research and website. Thank you for what you do. I know my docs will want to do something to “strengthen” my bones artificially. Do you have any information, anecdotal or otherwise, on how people fare if they accept this treatment as part of their cancer protocols? My cancer may well be treatable, even at this point, I hate to think that through ignorance I could be causing myself further grief in the future. On the other hand, with bone integrity compromised by cancer, do those ‘treatments’ make sense? I’m normal circumstances, how long after taking osteoporosis drugs do the problems (the fractures, jaw necrosis etc.) tend to show up? Any thoughts are much appreciated! Welcome, Cristina! I am sorry to hear of your diagnosis, and I do wish you a successful resolution. It’s common for doctors to prescribe osteoporosis drugs in cases where the cancer affects the bone; but please bear in mind that cancer is outside my realm of research, and it’s vital that you communicate with your oncologist who is familiar with your situation. That said, I can tell you that a pH-balanced diet aims to retain the necessary minerals in the body so as not to deplete bones, and in fact, some scientists believe that an alkaline pH not only helps retain important minerals, it also may stave off cancer from recurring. So it may have a double benefit. This is something that only you can decide. Take the time to research your options (including researching the specific drug(s) your doctor may recommend),talk with your oncologist, and then make your own educated and knowledgeable decision. Excellent publication, thanks for sharing the latest developments to strengthen our bones. Welcome, Esther! Feel free to expand your research and explore all the free information available at the Save Our Bones website. It sounds like you share some common experiences with other Savers, Carole. I am so glad you chimed in! You’re right to be cautious about Forteo. Your research is leading you in the right direction – the parathyroid glands do in fact play a significant role in bone health. You make an excellent point, Dr. Ali, and I couldn’t agree more about individual case histories playing a crucial role in the correct diagnosis and treatment of osteoporosis. It’s too bad that it’s rarely taken into consideration, and a “cookie cutter” approach is the more common in conventional medicine. You wrote that “The natural history of osteoporosis should be based on the assumption of being a symptom complex until proven otherwise.” This dovetails perfectly with the Save Institute’s philosophy that osteoporosis is, in fact, a symptom and part of a larger health picture than a disease in itself. Hi, i’ve been diagnosed with osteoporosis and believe that the state of our kidneys plays a vital role. When i was a young girl i suffered with deep boring pains in my legs and i was (and still am) a chilly mortal. My mother took me to a specialist who put it down to “growing pains”. I wonder how many diagnosed with osteoporosis have a history similar to mine? I had deep pains in my legs when I was a girl and wore corrective shoes all through grade school. I have been diagnosed with sever osteopedia.